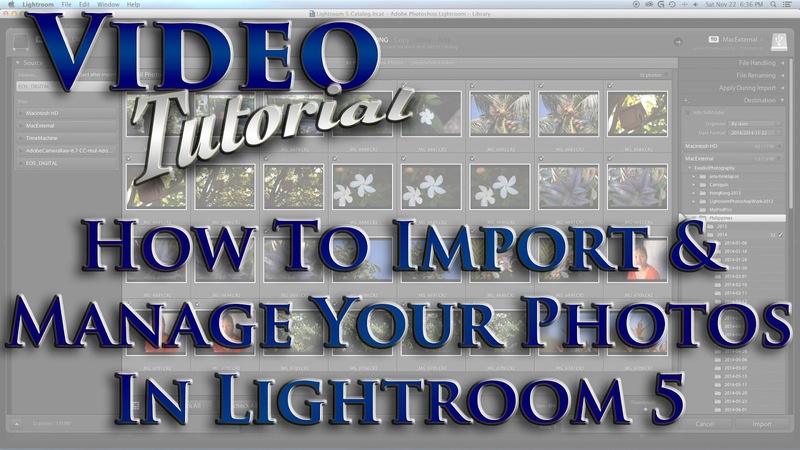 One of the first things and likely also the most important thing someone should understand in Adobe Lightroom 5 is how to import & manage your photos. In this video I step you through the many different options one has when importing files in Lightroom, how the photos are stored and renaming options. Plus I also cover how to setup and use Collections in Lightroom, while also explaining its non destructive editing techniques and the benefits of using virtual copies. There are a lot of photo management software out there and each have their own unique way of handling files within them. I spend a lot of time here and there on forums helping people and often see a lot of misconceptions on how Adobe Photoshop Lightroom manages your photos. So this is been a video I have been wanting to do for some time. To be able to elaborate on how Adobe Lightroom manages your files and also the various ways users can import and manage their files. I packed a lot of information into this video and hope that it is helpful to many users out there.